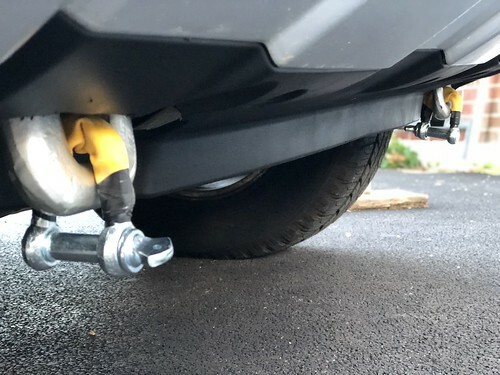 The Nissan Path :: View topic - rear tow.hook? Posted: Fri Jan 28, 2011 10:33 pm Post subject: rear tow.hook? 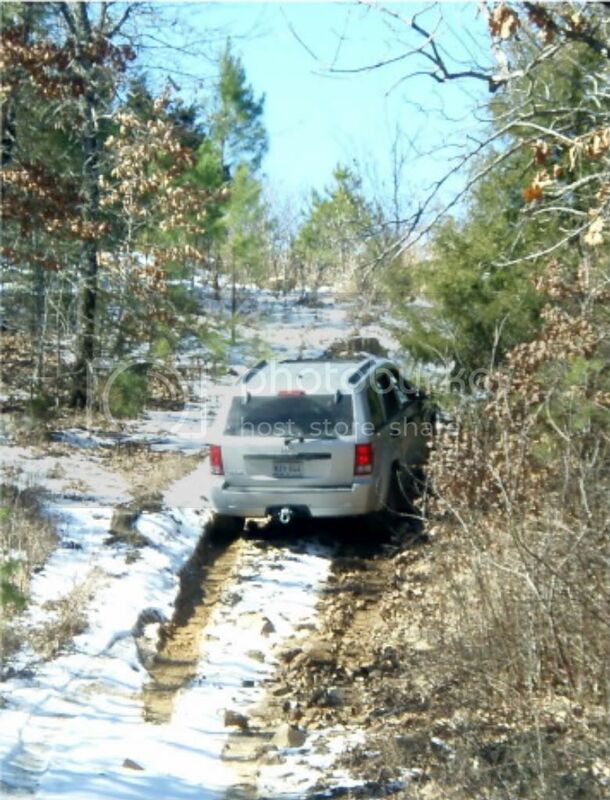 Buddy of mine got his truck stuck.in some deep snow. So I had to pull him out. Only problem was I didn't see anywhere to connect the strap.to. I ended up putting it on the ball on the hitch which probly wasn't a smart move. .is there a hook.under there I just didn't see? Hell I don't remember seeing one in the front when I was last under there. has both front and rear. 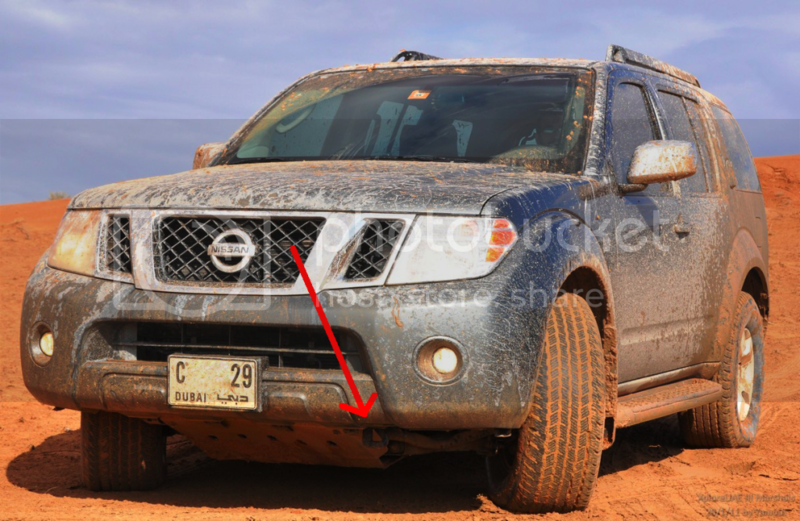 in the rear, there is an eye-hook under the bumper on the left side as well (if youre standing behind it) cant see it in this pic, but its just there beside the tyre. 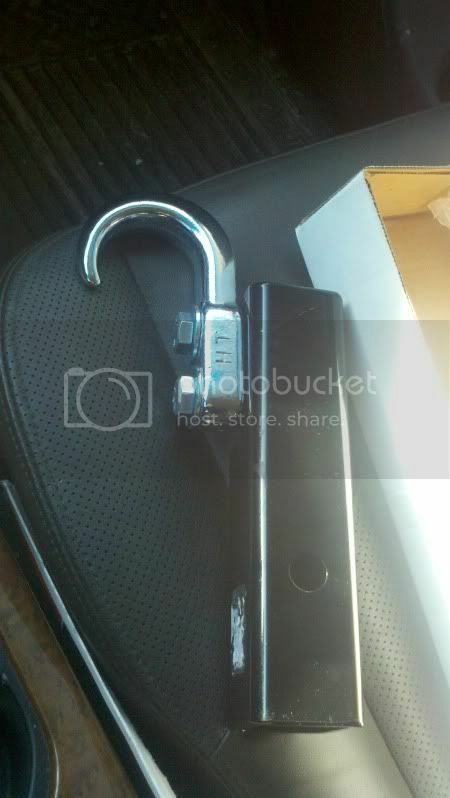 I keep a draw bar with a 3/4" shackle instead of a ball on it in the back with the jack. When I need it, I can insert it into the receiver and I'm ready to go. I was afraid to use the one in the back that Mar1 pointed out. The strap would really get into the plastic bumper cover. 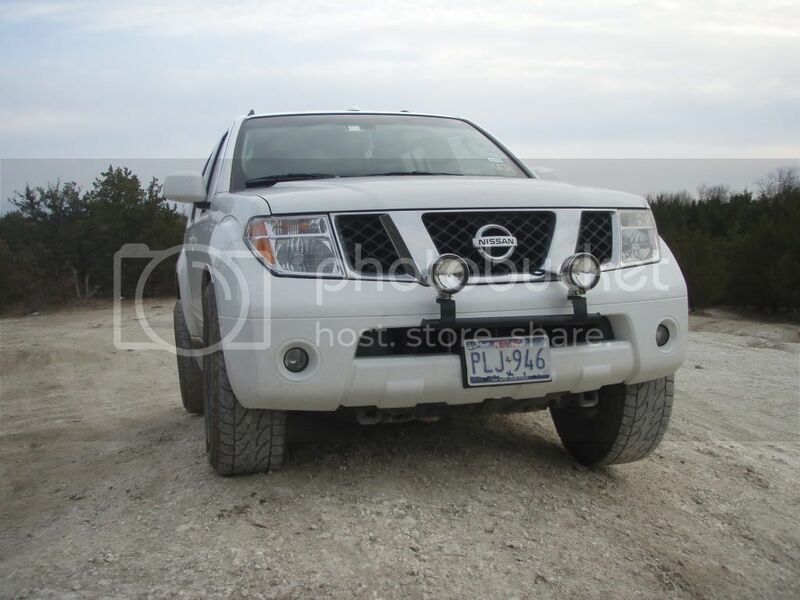 As for the front, mine did not come with any either, but I bought two of them from Nissan. They only have right side hook, but it will work on the left side with a little trimming on the splash shield and also looks kinda funny. thanks mar1. 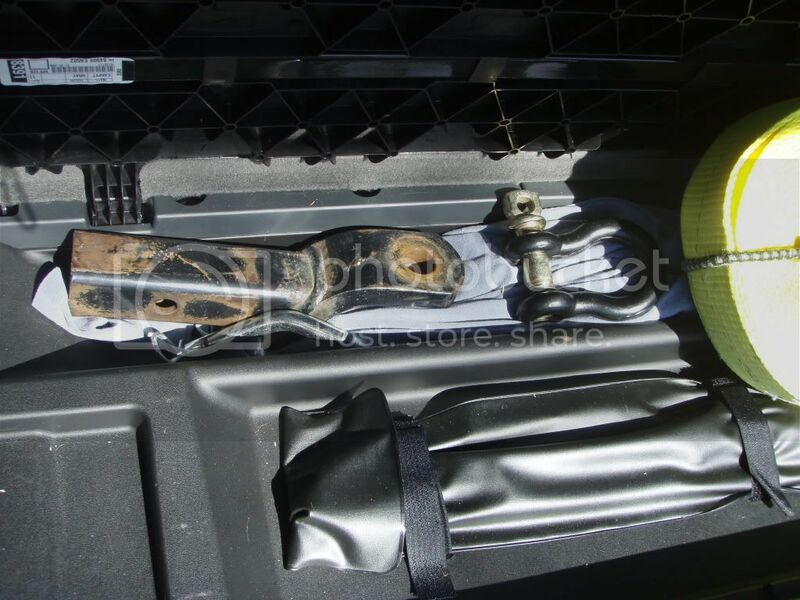 I saw the rear tow hook. 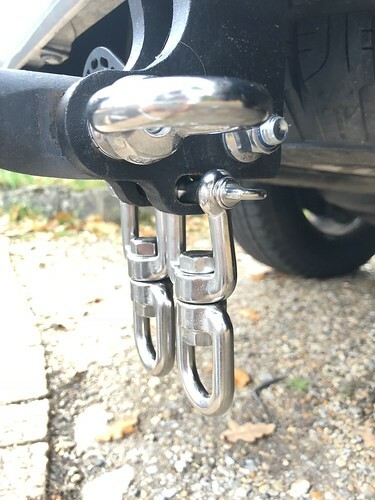 But i dont not have a front tow hook on my pathy for some reason. If i did i would have been able to get pulled out instead of shoveling with an ice scraper lol. richardekirby- thats a very good idea. I may jusy have to copy you and try something similiar. would i be better off with a d-ring or a hook? Once again last nite i had to pull somone out of the snow and put it around the ball since i dont have a front tow hook and the rear one is up to high and would put a lot of stress on the bumper.IM ordering 2 front tow hooks once i can get to the dealer.Im thinking for my use the hook would be better since the tow strap i have has loops on both ends. 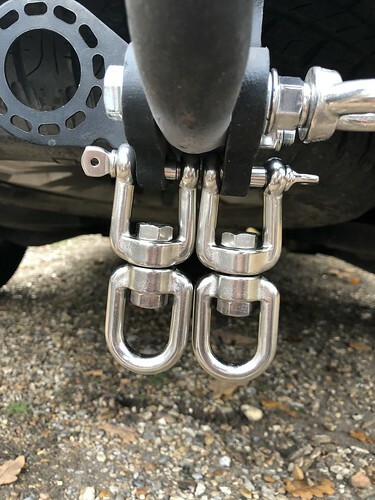 Is the concern with using the rear ball hitch that the rope/chain will come off? I have a 1.5" rope with a loop in it, and a hook on the other side. I have never had a problem with slippage, and it works like a charm! Yes the strap popping off. I've also heard some stories from a few jeep guys that the ball snaps and sends it flying. I have a strap with 3/4 " shackles on both ends. 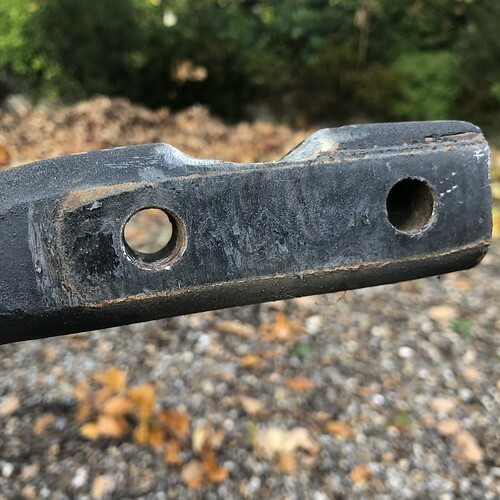 I hook 1 end into the loop on the hitch that the safety chains hook to, loop the strap around the hitch draw bar & hook the other clevis to the stuck vehicle. Works like a charm & I've never had the strap come loose. I do put an old blanket on the strap mid way between the vehicles to dampen the strap if it should brake. 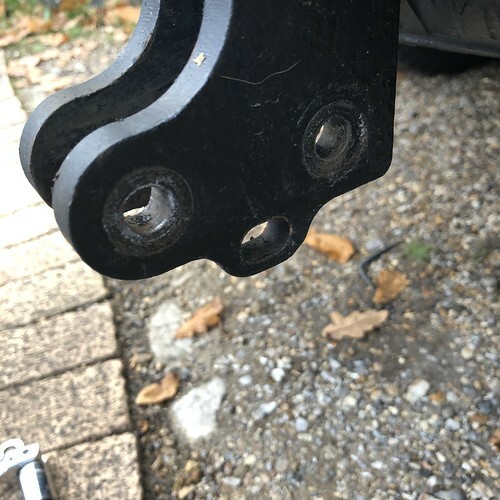 does anyone have the part number for the front tow hooks? i remember seeing them posted but cant seem to find them. 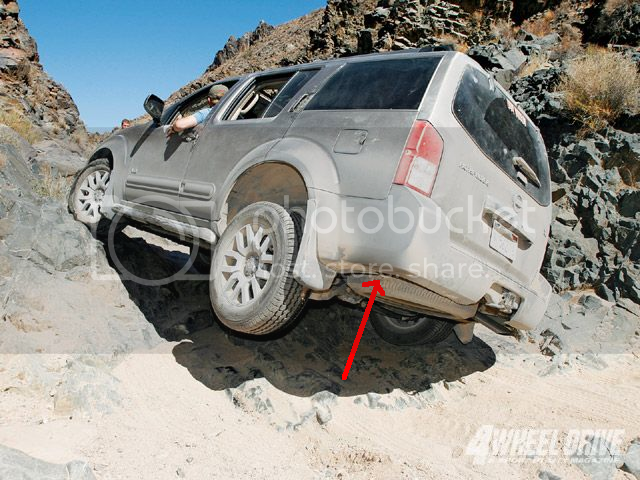 you don't have to buy it from 4wheelparts.com, but this is for the rear recovery point. Yeah, my buddy had one of those on the rear of his Grand Cherokee last weekend when we were out wheeling. It was very clean looking and did not stick out as far as mine. I'll probably sacrifice an old draw bar and make one. I ended up choosing the hook. I've used it a few times already. Pulled out my.buddies jeep that was stuck in a mud pit. But id like a better set up on the rear of the car. Yes there is a loop underneath on the nearside, right under the car, but no-one seems to have designed a modded setup to bolt on. 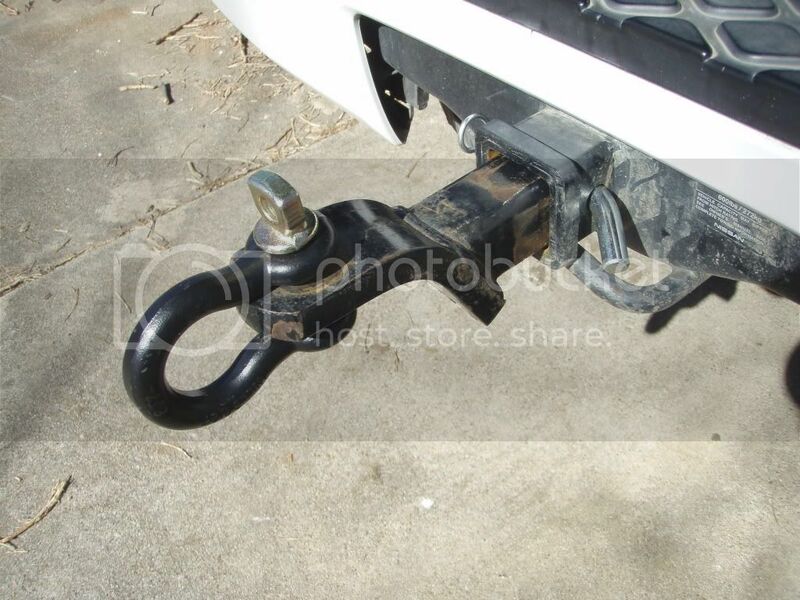 Ive a Bosal swaneck towbar i could use but its designed to tow a trailer maybe not pull the car backwards? It bolts to the rear crossbar. Like this.. 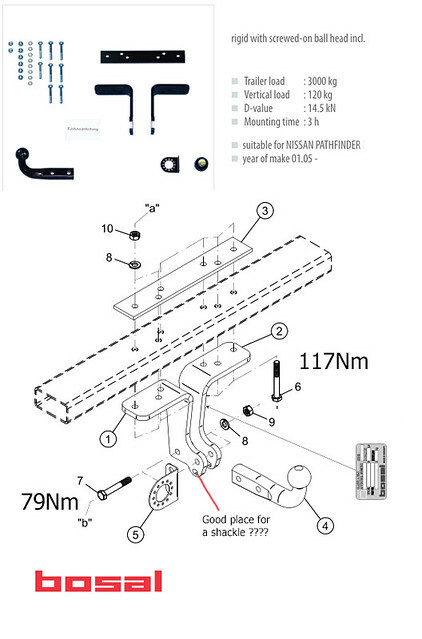 I modded the diagram with the torque settings for a printout in my service manual, and also for here on the forum an arrow for good shackle placement??? 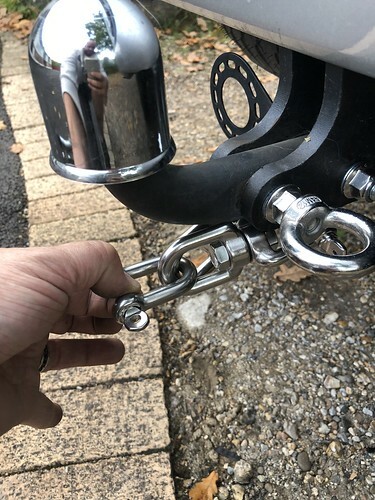 The towbar ( 4 ) isnt square so not sure if could be swapped for a shackle bar like you guys fit?